The new year has opened with a couple of important housing stories. The first was another attempted crackdown on illegal subletting in council housing. 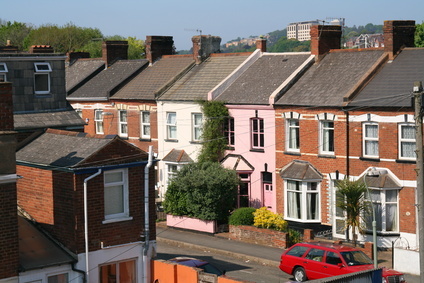 The second, which attracted significant media attention, is the reform of the local housing allowance (LHA) – the housing benefit which assists low income private renters. A tranche of rule changes came into force with the New Year. The media coverage was sparked by the publication of a Chartered Institute of Housing report arguing that the rule changes render 800,000 properties no longer affordable to low income renters. A range of unfortunate negative consequences are argued to follow. The Department for Work and Pensions – which is responsible for this policy – is having none of it. The Government arrived with a seductively plausible case. The aggregate housing benefit budget – at £20bn and rising – needs to be restrained and reduced. It isn’t ‘fair’ for people who receive LHA to live in properties that cost more than those of the taxpayers who fund the benefit. The preferred solution is to cap weekly housing benefit, change to a less generous basis for calculating the LHA, and switch to uprating by CPI not RPI. The first two changes mean that the LHA covers a smaller proportion of current rent for many households. The third means that this is likely to get progressively worse over time. Finally, the minimum age for assistance with self-contained accommodation increases from 27 to 36. Anyone aged 35 or below will only be eligible for assistance with shared accommodation. In the slightly longer term, for some households assistance with housing costs will be affected by the overall cap on welfare benefits proposed in the Welfare Reform Bill. Much of the media have focused upon the overall cap on weekly housing benefit. This only affects a small number of households in particularly large houses and/or expensive areas. There is undoubtedly a case for addressing the most egregious cases. But this is largely a distraction: a smokescreen designed to stoke indignation. In contrast, rebasing the LHA calculation affects hundreds of thousands of poor people across the country. Few people would argue that the housing benefit bill shouldn’t be reduced, if possible. The question is how this can sensibly be achieved. That requires better understanding of what it represents. The fundamental problem is that housing in Britain – particularly rental housing – is very expensive relative to incomes. That is not a new phenomenon. Over thirty years a switch to subsidizing people not properties and deregulation have contributed. But it is become more acute in recent years. The aggregate housing benefit bill does not represent a small number of households each receiving vast amounts of money from the state to live in luxury. It mostly represents people receiving relatively small amounts of money to live in relatively poor accommodation. It is just that there are lots of them. And the ultimate recipient of the money is the landlord, not the tenant – the tenant is just the intermediary. There is pressure on the aggregate housing benefit bill because more people are claiming. More people are claiming because both unemployment and rents are increasing. The DWP’s own figures show around 150,000 additional recipients in low income work over the last year. This exposes one of the main conceits of the welfare reform agenda – that ‘benefit recipients’ and ‘taxpayers’ are different groups. They overlap considerably. And insecurity at the bottom end of the labour market means that many move into and out of work, on and off of benefit. To label all LHA recipients as long-term benefit scroungers is simply wrong. That doesn’t mean such households don’t exist. Just that policy designed with such households in mind penalises many households who have worked, do work, and want to work. But it does, of course, make it easier to press forward with policies that make people’s lives worse if we think of them all as undeserving layabouts. Rents aren’t rising everywhere. But where they are increasing it is a result of supply shortages and increased demand because of economic uncertainty and problems of access to owner occupation. Landlords can push for higher rents and still let their properties. It could be argued that in local rental markets with high concentrations of benefit claimants the LHA effectively sets the market rent. But the prevalence of such areas is not clear. They aren’t the norm. Reducing the generosity of the LHA leaves tenants with some difficult choices. They can try to renegotiate their rent with their landlord. That can work in areas where demand is weak. But in areas of strong demand landlords can just relet to someone else. Or tenants can make up the rent from their own resources. Given that those resources are going to be (low) income rather than savings this will mean going without something else. And it won’t be about foregoing pointless luxuries. 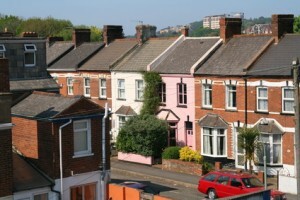 Or tenants can move to somewhere cheaper, either locally or further afield. The Government is denying that many will need to move beyond their current locality. At least they are denying it in public. Critics are expecting mobility to be the most likely outcome. In truth, we don’t really know how much mobility in search of cheaper accommodation will be generated. No one does. But we already know there are plenty of people renting overcrowded, very poor quality accommodation, sheds or garages to live in. It is plausible to expect more of this. The ‘move somewhere cheaper’ option raises many questions. Is there sufficient supply of cheaper accommodation? The CIH report argued that in many areas there isn’t. The implication is that households receiving LHA will be chasing a smaller pool of properties. The result? It will push the rents those properties higher, and the LHA bill will increase correspondingly. And if lots of households seek to move to cheaper areas at the same time those areas are unlikely to remain cheaper for long. The results of this process could be several. It would increase spatial segregation by income – rich and poor would inhabit different worlds to an even greater extent than is already the case. Social support networks will be disrupted. Access to key services such as social care will be interrupted – as families move to different areas it is almost inevitable that, for example, some children are lost from the child protection system. Demand for public services in areas experiencing in and out-migration will be destabilised. Low income working households forced to migrate will face longer distance commutes, job changes or leaving the labour market. Reducing LHA may lead employers to push up wages in low wage sectors to retain workers, but in straitened economic times that seems unlikely. Increasing the age limit for the shared accommodation rate illustrates perhaps most clearly the negative impacts of the changes. Many of those will no longer be able to sustain self-contained accommodation will have to move into a House in Multiple Occupation. Some will no doubt argue that if those paying their own way have to share then why shouldn’t those on benefit? The problem is that renting a house with your mates is not in any way the same as living in an HMO where you do not know the other tenants, have no control over who else lives there, are exposed to people with chaotic lifestyles, dependency problems or who are prone to violence. For people seeking to rebuild their lives following relationship breakdown, or recover from their own dependencies, or trying to sustain employment, these can be extremely unhelpful – indeed threatening – living conditions. Yes, superficially we are making the system ‘fairer’ by reducing the HB assistance available so that benefit recipients too have to share. But that may well increase the length of time that they take to rebuild their life and mean that they have to draw upon other public services for longer. So when looked at in the round it costs the taxpayer more rather than less. Letting properties to tenants on housing benefit is few landlords’ preferred business model. The changes to the LHA, if they work in the way the Government would like them to, would make the proposition even less attractive. In high pressure areas landlords do not have to let to benefit-dependant households. Indeed, they aren’t obliged to stay in the letting business at all. The problems of the housing market are complex. Reducing government revenue spending on supporting rents is a sensible policy aspiration. But policy needs to work holistically if it is to succeed. If change isn’t approached cautiously then it will end up being a false economy. Unless we are indifferent to the circumstances in which our fellow citizens live then current policy directions should be a cause for concern. The housing policy jigsaw – a picture begins to emerge?